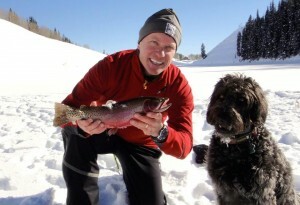 Dave Ochs Director – Crested Butte/Mt. Crested Butte Chamber of Commerce and Visitor Centers (Crested Butte, Mt. Crested Butte and Gothic) 2/5/2016: I don’t know what Punxsutawney Phil did on Feb. 2nd, but any earth dweller around here was getting pooped on with copious amounts of snow and gave us the sign that winter is just FINE!!! What a few weeks it has been, and certainly busier than normal January scenes. Great reports from bars, restaurants, retail, lodging, etc. that peeps were here, they had smiles, and things were good! Such is what we like to hear! Fat Bike Worlds was a great success, and we at the Chamber can’t thank you enough for embracing and being a part of the inaugural. We made some history, and more so, we did it because of the amazing support and volunteers that become a part of the culture of our events. Can’t thank this community enough! Speaking of the snow, and the perhaps not so glamorous parts that come along with huge dumps like that… let’s keep our heads! CB Ski Patrol is working so hard to open terrain, give them high five’s – not hard times. Your safety is so important to them, it’s not as easy as just dropping ropes. On top of that, the Towns’ are both hard at work, and it’s not easy plowing 30”. At that, CB Towing is a phenomenal local company that has a job to do, and Joe Alagna (besides being an incredible fella) and crew do it well. Nobody tows anyone out of malice – let’s remember people have jobs to do – it’s up to you to hold up your end of the deal, and let’s support those working hard to make things happen. It’s not just pow days for all – there’s a lot of work involved! Crested Butte Snowsports Foundation invites you to attend their Gala and participate in their Inaugural Vertical Challenge Event on February 13 and 14. CBSF will be honoring Robel Straubhaar, Crested Butte Ski School’s Founder and Director, as well as host a silent auction with dinner and drinks at the 3rd Annual Gala. The silent auction list keeps growing with great items including a new pair of ROMP skis! The Vertical Challenge event is inclusive of all levels of skiers and snowboarders as they compete to see who can gain the most vertical feet on the mountain in 6 hours! Prizes will be awarded! All proceeds from each event support the CB Snowsports Foundation, whose mission it is to support the youth of the Gunnison Valley in their pursuit of sportsmanship, passion, and discipline through snow sport experiences. The Foundation raises money to award scholarships to local student athletes in the Valley. This past season CBSF awarded close to $25,000 in scholarships to deserving athletes. Never-Never-Land is home to Western State Colorado University and Gary Pierson, its Dean of Students and Vice President for Student Affairs. Gary fits more into each day than most: he’s driven by his passion for education, dedication to his family and a burning need to get outside as much as possible. 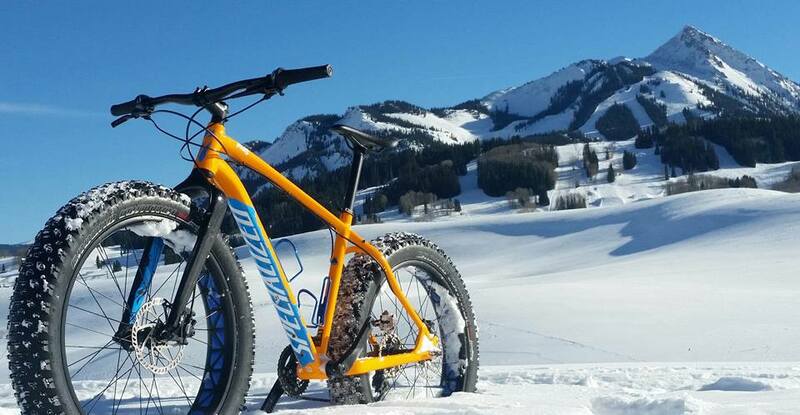 The 18-year resident of the Gunnison Valley shares his secrets to biking year-round, skiing the steeps of Crested Butte and finding common ground with students in the outdoors. For more information, visit gunnisoncrestedbutte.com. The Alley Loop is almost here. Best team costume will be awarded by Montanya Distillers. The fastest skiers will be in the running for a $5,000 cash purse. Need we say more? Visit cbnordic.org for more information, registration, and reservations. Gunnison Valley Health, Living Journeys, Tough Enough to Wear Pink, and WellBeing Connection invite you to JOIN US for our second Community Wellness Event! An evening focused on our bodies, health, nutrition, and cancer survivorship and prevention. Mocktails & Appetizers begin at 5:30pm! Join us for short presentations on the latest nutrition research, food samples, and socializing! Enjoy an elegant evening with Crested Butte’s finest chefs to support Gunnison Valley Health Family Birth Center Renovation. Our Annual Taste Of Caring event is Tuesday, February 16th. This meeting will cover introductions, overview of program, samples of new timesheets and paperwork, new worksite agreement, and Q&A. The Crested Butte Heritage Museum is hiring a part time year round Events and Marketing Coordinator. We are seeking a detail oriented, creative, and computer savvy team player with strong communication skills and a passion for the history of the Gunnison Valley. View the full job description at http://crestedbuttemuseum.com. Please email your cover letter and resume to Shelley Popke, Executive Director, at museum@crestedbutte.cc by Monday, February 8th. Email or call Shelley at 970-349-1880 with any questions. The current leaders on 10Best Reader’s Choice contest for Best Ski Town poll are: Crested Butte, Colo, North Conway, N.H, and Truckee, Calif.
Keep Crested Butte, Colo. on everyone’s mind by rocking the vote at http://www.10best.com/awards/travel/best-ski-town. To see some live voting action, check out #10BestChoice on Twitter. Voting is open until Monday, February 8th, 2016 at 11:59am EST. There’s still time to further protect our top spot. Elevation Hotel and Spa – Superbowl Sunday and Valentines Specials. The Art Studio of the Center for the Arts continues to brighten up the dark days of winter this week with creative opportunities in Open Wheel Ceramics (February 5), Precious Metal Clay Jewelry Making (February 6) and Metalworking: Stackable Rings (February 7). Local artist Mike Arbaney hosts an Artist Reception at the Piper Gallery (February 10) to close out the week. Then next week – get ready to laugh with the Center’s annual Comedy Night with jokester Jordan Ball (February 12). Colorado Backcountry, Crested Butte’s locally owned and operated guide service, is thrilled to announce the launch of the Backcountry Bike Academy. Beginning in the Spring of 2016, the Backcountry Bike Academy will offer small group and private mountain bike skills instruction throughout western Colorado, including Crested Butte, Gunnison, Fruita, and Grand Junction. Programming will include multi-hour through multi-day clinics, camps, and vacations. The Backcountry Bike Academy addresses the growing demand for quality mountain bike instruction through vision, craftsmanship, and experience. Created by dedicated mountain bike instructors who focus on riding smarter, the Backcountry Bike Academy’s unique, quality instruction meets the needs of every rider, from the never-ever to the pro racer. The meticulously designed curriculum develops fundamental skills and provides essential feedback to promote self-awareness, bike-body connections, confidence, and exceptional improvement. The team of professional coaches will be led by Andy Shabo. Andy brings years of experience as a certified instructor for BetterRide, one of the world’s most successful mountain bike instruction programs. “I am thrilled to craft and offer a skills curriculum that will inspire all riders to ride at their best,” says Coach Shabo. Specific clinic dates will be released in February. Looking for potential grand funding sources from around the State? Don’t forget that CFGV keeps an up-to-date subscription to the Community Resource Center’s online grants guide. Any local nonprofit is welcome to make an appointment to come into the office and spend time researching possible grant sources. Call at 641-8837 or email lauren@cfgv.org to set up a time. The Laura Jane Musser Fund Announces New Initiatives! o The Laura Jane Musser Fund will be accepting proposals for their Rural Arts grant round. General Operating Support proposals of up to $10,000 will be considered. Rural Arts organizations must be from communities with populations under 20,000. Organizations from CO, HI, WY and certain parts of MI and MN may apply. Applications will be accepted online through the Fund’s website from February 17 – March 17, 2016. For additional information, please seewww.musserfund.org . o The Laura Jane Musser Fund will be accepting proposals of up to $35,000 for their Environmental grant round. The fund will assist public and not-for-profit entities from CO, HI, MI, MN, and WY to initiate or implement projects that enhance the sustainable ecological integrity of publicly owned open spaces, while encouraging compatible human activities. Applications will be accepted online through the fund’s website from February 10 – March 10, 2016. For additional information, please see www.musserfund.org . CiviDay is a CiviCRM discovery and workshop for nonprofit organizations. It’s geared towards local and regional nonprofit organizations that currently use or seek to use open source technologies, specifically a “constituent relationship management” system (CRM), to improve operational performance. Please see the Western Slope Civi Day flier attached for more information. Two opportunities to hear from and ask questions of our elected officials! Ann Zugelder Library, 307 N Wisconsin St.
Montanya Distillers 212 Elk Ave. The next Nonprofit Network meeting in Almont is next Thursday, February 11th from 8:30-10am. Janice Welborn will be discussing Lifecycles of Nonprofits. How can I help you? If you are considering Buying a home in Crested Butte – The Crested Butte area offers a wide variety of properties including ski in/ski out single family homes, ski-in/ski-out condominiums, lake and river frontage properties, golf course property, and true fine mountain homes on acreage. 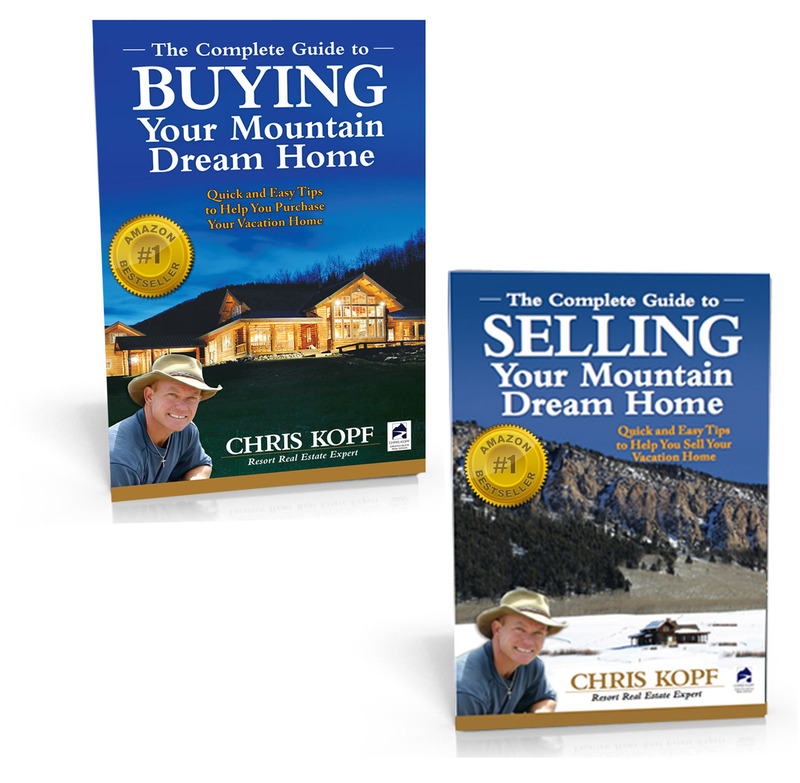 Download your Free copy of my book: The Complete Guide to Buying Your Mountain Dream Home. To see featured properties or search the MLS – visit www.ChrisKopf.com. If you considering Selling your Crested Butte home and are interested in finding out what your existing property is worth – call me. Contact me to get a Free copy of my book: The Complete Guide to Selling Your Mountain Dream Home. How is the Crested Butte Real Estate Market doing? Click this link to see my monthly Crested Butte Real Estate Market Reports I appreciate the opportunity to earn your business and be yourCrested Butte Real Estate Agent.